Even if you’ve never heard of THX before, there’s a pretty good chance you’ve heard of Star Wars creator George Lucas. And as with so many things connected with the technical advancement of cinema in the late 1970s and early 1980s, the ‘birth’ of AV quality assurance group THX is directly down to Lucas’s drive to improve the experience of going to the cinema. It all began a week or so after Star Wars Episode V: The Empire Strikes Back had been rolled out to cinemas. Lucas decided he wanted to install a state of the art audio mixing system at his new Skywalker Ranch, and hired renowned audio technician Tomlinson Holman to design it. Realising that designing a cutting edge mixing desk would require in-depth knowledge of the whole movie audio creation chain, from filming on set to playback in cinemas, Holman was permitted to spend a year exploring the state of play in the movie audio world. What Holman found shocked him. For the simple fact was that many commercial cinemas hadn’t significantly improved their audio visual facilities since the 1940s. So poor were the experiences many cinemas offered that they couldn’t even get close to reproducing accurately the visions of the film directors of the day - directors which included, of course, George Lucas. Having subsequently designed the still world-renowned mixing facilities at the Skywalker Ranch’s Stag Theater, Holman and Lucas started to get cinema owners and Hollywood Studio executives asking how they could get their own cinemas and movies achieving the same AV standards delivered by Lucas’s new state of the art facilities. This eventually led Lucas and a team of technical experts to develop a standard against which movie facilities outside of the Skywalker Ranch could be measured, with those that made the grade receiving a certificate to confirm their prowess. This group created to run this certification process was called THX in reference to both George Lucas’s first film, THX 1138, and a combination of Tomlinson Holman’s initials and an ‘X’ abbreviation for the audio term known as ‘crossover’. 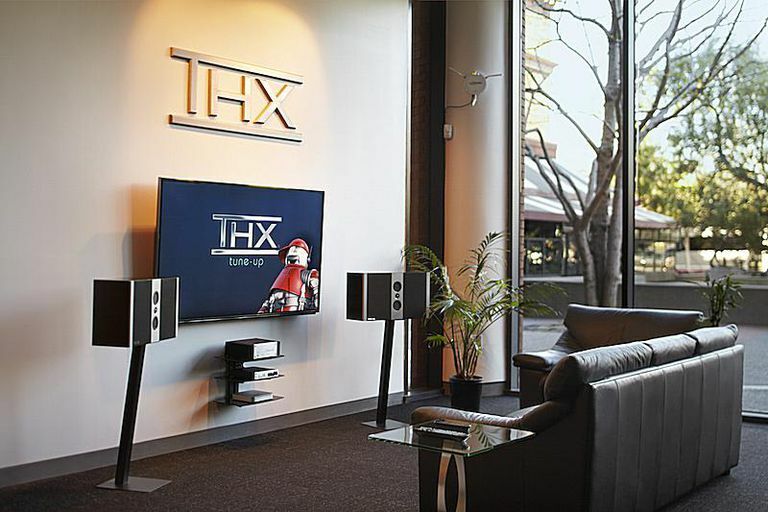 While THX undoubtedly had a huge part to play in improving the experience of going to the cinema, though, the key thing about THX from a modern consumer electronics point of view is that over time it extended its quality assurance principles to products designed for use in the home. Initially THX focussed on the home audio world, putting speakers and AV receivers through barrages of specially developed tests to ensure they achieved a sufficiently high standard before allowing them to claim ‘THX Certification’. THX now, though, also operates in the display world, testing TVs and projectors submitted to it to ensure they can get close enough to reproducing faithfully the pictures mastered onto Blu-ray and DVD discs. In other words, if you buy a home AV product - or even a Blu-ray or DVD - with the THX logo attached to it, you can feel confident that it will be able to reproduce a film-maker’s vision with exceptional accuracy. In fact, THX-certified display devices will also have a THX picture preset designed to deliver the most accurate picture settings. It should be noted that THX doesn’t operate a policy of testing every AV device ever made. And nor does it test products purely out of the goodness of its heart! Instead AV product makers have to pay THX for the certification process, so not surprisingly it’s usually only sought for high-end products. What’s more, some brands simply don’t want to pay for the certification at all and so don’t seek it, even for products that might very well have been capable of passing the THX test barrage. While this means, though, that you can’t just automatically assume that THX Certified products are always the only great products around, THX certainly remains arguably the best-known independent third party assurer of AV quality operating in the AV world today, and continues to have an important role to play in letting consumers know which products really can let you see and hear exactly what a director wanted you to see and hear.